Now then, now then. Here at Vein-Tap.com, we’re not used to repeating ourselves (ahem) or pushing old products into new packages and calling them “new” (this one actually is true). 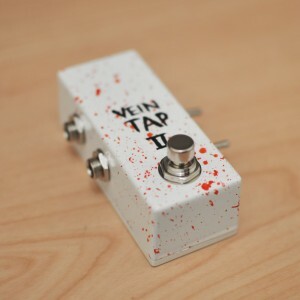 However, we realised that the Vein Tap 2, the dual output tap tempo pedal we offer, could do with just a little tweaking. That’s why we’ve now added options regarding polarity switches. That’s right; you can now choose to keep the Vein Tap 2 as it was, i.e. without a polarity switch, add one which controls both outputs, or add two for totally independent polarity switching for each output. This makes the Vein Tap 2 the only pedal available with such a feature! Unsure what a polarity switch is? You need to read our Polarity Switch Article, friend. Head on over to the Vein Tap 2’s Product Page to see what all the fuss is about. We promise you won’t regret it!